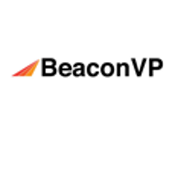 Beacon VP is a multidisciplinary team of Harvard/MIT scientists who are passionate about transforming scientific insights into actionable investment ideas.Beacon VP invests in the scientific foundation of biotech firms, with a focus on drugs and devices progressing through the FDA review process. Our philosophy is: "The business value of small to mid-cap life science companies depends on the underlying science of its drugs. We assess its safety and efficacy, then buy low and sell high". Beacon VP is a multidisciplinary team of Harvard/MIT scientists who are passionate about transforming scientific insights into actionable investment ideas. Beacon VP invests in the scientific foundation of biotech firms, with a focus on drugs and devices progressing through the FDA review process. Our philosophy is: "The business value of small to mid-cap life science companies depends on the underlying science of its drugs. We assess its safety and efficacy, then buy low and sell high".